* Provides positive seal with Moeller-exclusive injection molded 2-1/4" fill neck. 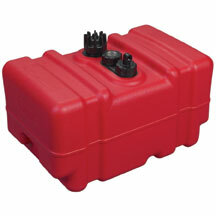 * Features 90 degree, 1/4 NPT fuel withdrawal elbow that rotates 360 degrees eliminating a kinked fuel line hose. * Specifcally designed for use in Boston Whalers, Carolina Skiff and Key West bench style, center console, pontoon, deck and jon boat designs.